Installed new furnace, coil, condenser, and humidifier. Fall tuneup on Mitsubishi mini splits in Midwest City. When you need residential commercial HVAC services in Midwest City, OK, you can count on the expertise of the people at Comfort Incorporated to get the job done. After all, we have been in the industry since 1953. And today, our technicians have the training and tools necessary to fix all types of problems and ensure your equipment runs smoothly, or we can install a high–efficiency furnace, AC system, geothermal heat pump, indoor air quality system, or whatever you may need. Call our friendly team today. You can count on us to provide heating and AC services that go above and beyond. With the latest diagnostic equipment, fully–stocked trucks, and an excellent maintenance package, we are a company you can trust. We provide heating installation for whole–home systems of all types. This includes gas and electric furnaces, ductless systems, conventional heat pumps, high–efficiency geothermal heat pumps, and dual–fuel systems. And we always make sure the unit is sized properly and work hard to find solutions within your budget. When a furnace or heat pump breaks down, you may worry that the system needs replacement. Our technicians will work hard to ensure that you get the repairs you need first and foremost, in the most cost–effective way. However, if it does turn out that you need heating replacement, we can ease your mind with a quality, efficient system installed safely and completed in a timely manner. Homes in Midwest City need air conditioning systems for most of the hotter months. And a portable or window system just won’t cut it. You need an air conditioner that will stand the test of time–or a heat pump that works for both cooling and heating. You will find some of the finest air conditioning systems and installers at Comfort Incorporated. In addition, we offer complete air conditioning services, even for AC systems we did not install ourselves. Call us for your next air conditioning service and expect professional work from friendly people. Are You Seeking Expert AC Repairs? Your next AC repair will go smoothly when you call on the help of the professionals at Comfort Incorporated. We have been providing service to homes and businesses in the area since 1953. We are so confident in the quality of our air conditioning services that we offer a 100% satisfaction guarantee. In addition, we always explain the repair process and offer upfront pricing so there are no surprises. If you are looking for a new company to provide commercial HVAC service for your property in Midwest City, OK, then you have come to the right place. 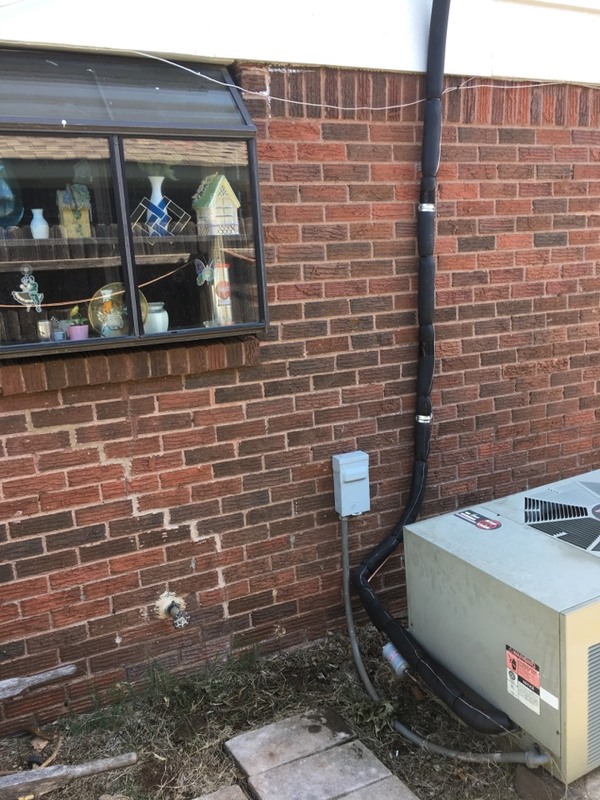 Our installations are already found on commercial properties throughout central Oklahoma, and we have developed a positive reputation throughout the area. Comfort Incorporated does a thorough job with any routine maintenance service. And our installations are from the top brands of slit systems, rooftop units, and furnaces. Do You Need Air Duct Repair or Professional Duct Sealing? A professional air duct repair can help your heating and air conditioning systems to run a lot more smoothly. Leaks within the ducts are all too common, and can be found in most homes. And this means air cannot move directly into the rooms of your home, causing cooling and heating costs to rise by about 30% in many homes. We can provide an energy audit for your entire home to pin down efficiency problems, or just test your ducts. If you need duct sealing or repair, Comfort Incorporated will ensure the job is complete with an inspection, and you will notice a difference in your monthly bills. Outstanding service tech. Very knowledgeable. Very honest. Best HVAC company I have used in the OKC area. No cool. A/c low on freon. No cool, compressor is out. Unit not cooling, very dirty.